The very top branches of a bonsai are known as the apex. In a mature field-growing tree and a bonsai the apex is seen to be a broad dome of foliage above the rest branch structure. 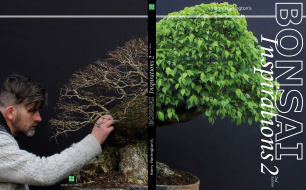 Whilst building and shaping the branches of a bonsai is frequently described in bonsai literature and is therefore reasonably well understood, apex building, or the formation of the apex, is rarely described and can be difficult to style. It must be understood that the apex is a general term that describes the upper branches and silhouette or shape of the top of the tree. It is part of the branch structure of the tree and not a separate entity that just sits on top of the trunk. A common fault in bonsai styling in past years has been that the apex has been visibly separated from the rest of the branch structure by a visible gap or band in the foliage. Fortunately, this does seem to be a thing of the past! The one thing that nearly all bonsai apices have in common is a broad, dome-shaped apex. This is reminiscent of a mature tree; a narrow, pointed apex is normally illustrative of a young tree and should be avoided in bonsai. Apex building should depend on whether the bonsai is deciduous or coniferous and the style of the bonsai; whether it is naturalistic (realistic) or abstract (styled like a Pine). This category contains deciduous and broadleaf trees structured in the classical or abstract style. That is, they have largely near-horizontal branches with clearly defined foliage pads. For trees in this style it is usual to build what is described by John Naka as a 'tree upon a tree'. The abstract-style apex cannot be used on bonsai styled with natural, upward growing branching. This category contains deciduous and broadleaf trees that are naturalistic, that is, they are styled and structured to look like a natural deciduous or broadleaf trees. The uppermost branches grow at upward angles and fan out above the top of the trunk to create the apex and the crown of the tree. The natural apex style can be used with success on classical, abstract or 'Pine Style' bonsai.